UAE-based Mubadala Petroleum, Gazprom Neft and the Russian Direct Investment Fund (RDIF) have announced the completion of a transaction establishing a joint venture to develop oil fields in the Tomsk and Omsk regions of Western Siberia. Further to an agreement announced on May 24, 2018, Gazprom Neft has now completed its sale of a 49-per cent interest in Gazpromneft-Vostok LLC, operator of 13 fields, to Mubadala Petroleum and RDIF. 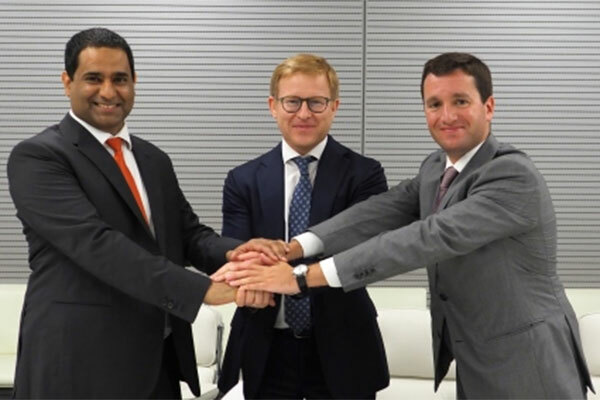 Following the completion of this transaction Gazprom Neft now holds a 51-per cent interest in the joint venture, with Mubadala Petroleum and RDIF holding 44 per cent and five per cent equity, respectively. Gazpromneft-Vostok remains a subsidiary of Gazprom Neft, and will continue to operate the fields. “Through our partnership with Mubadala Petroleum and RDIF we will not only be focusing on improving the current business performance of Gazpromneft-Vostok, but will also be looking for new opportunities to develop it further. “One promising area for joint work here being developing technologies for the profitable development of pre-Jurassic hydrocarbon resources in the Tomsk Region. We see Mubadala Petroleum and RDIF as strategic partners, and expect to deliver mutually beneficial results from combining our financial and technological resources,” he added. Dr Bakheet Al Katheeri, CEO, Mubadala Petroleum, said: "The acquisition of a 44-per cent interest in the Gazpromneft-Vostok joint venture is another important step in Mubadala Petroleum’s drive for sustainable and profitable growth, marking our entry into Russia and adding valuable oil production to our existing portfolio. Gazprom Neft is a vertically integrated oil company, primarily involved in oil and gas exploration and production, refining, and the production and sale of oil products. The Company’s subsidiaries include more than 70 oil production, refining and retail businesses, located throughout Russia, Commonwealth of Independent States (CIS) and other countries. Gazpromneft-Vostok has been active in hydrocarbon production in the Tomsk and Omsk regions since 2005, as operator of a group of oil and gas fields located in the region and whose future production potential derives mainly from pre-Jurassic deposits. Mubadala Petroleum is an international upstream oil and gas exploration and production company, headquartered in Abu Dhabi, and a wholly-owned subsidiary of Mubadala Investment Company. Mubadala Petroleum manages assets and operations now spanning 10 countries, with its geographic focus primarily on the Middle East, Southeast Asia and Russia.